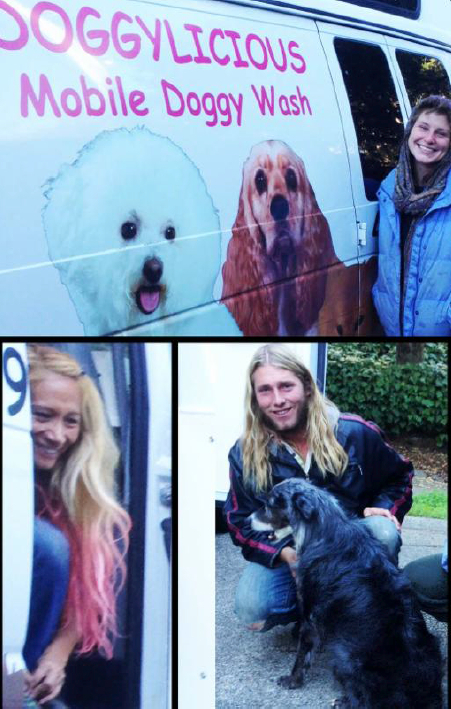 Marin IJ story – a lost dog, a pastor, a church, and many helping hands = Home For The Holidays! 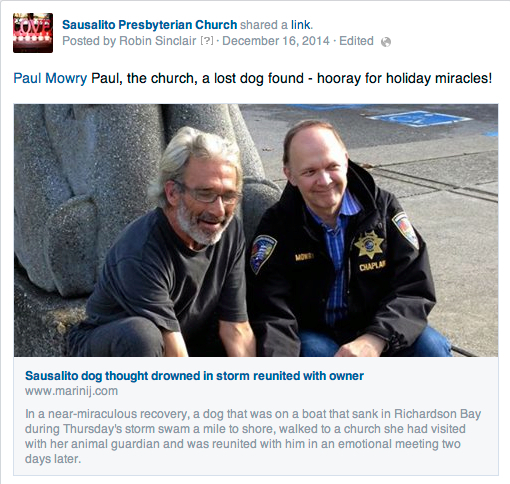 For his help to the community, Paul has received a very nice citation from Sausalito police and fire departments. Congratulations Paul, and continued heartfelt thanks from us all. 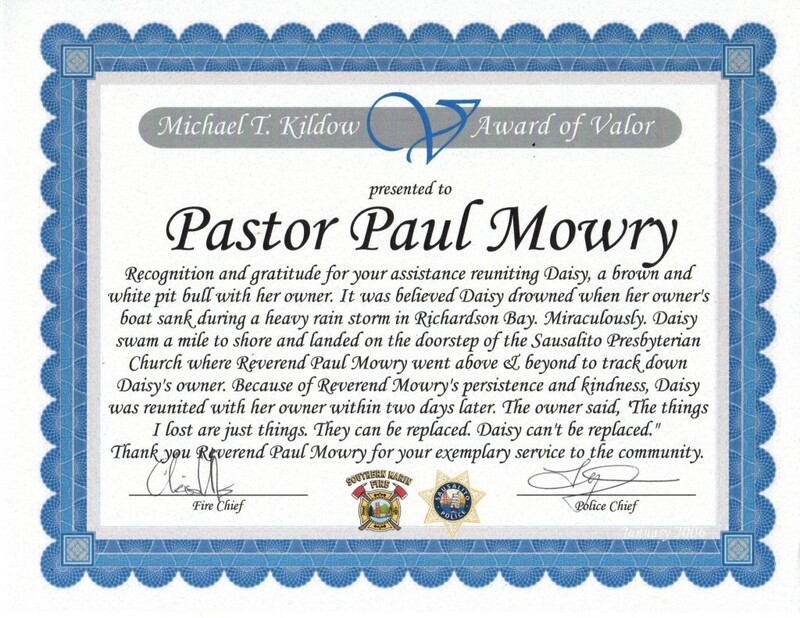 Early last Thursday morning, SPC neighbor Jacquie Lipton came to the manse to tell Pastor Paul that a soaking wet, shivering Pit Bull was curled up on the back steps of SPC. Paul brought the dog inside and that began a 48-hour adventure that eventually revealed an astonishing odyssey that the dog had been through. 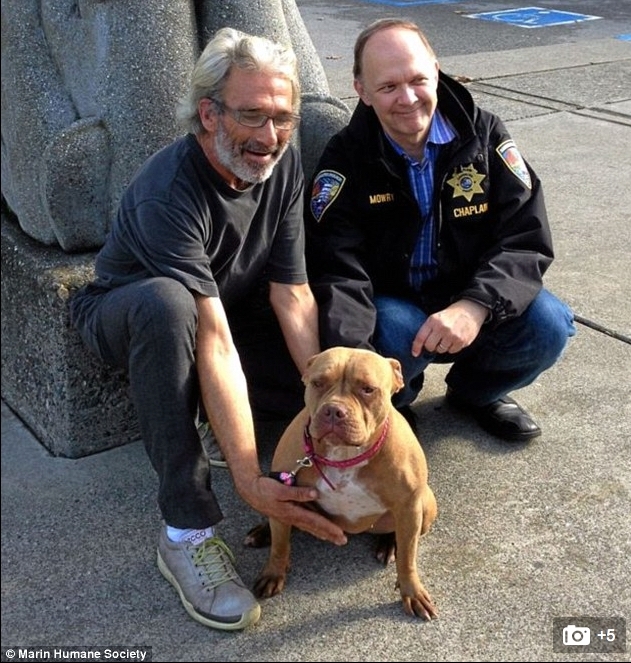 There has been a lot of news coverage, from Sausalito to London, England, reporting on the incredible saga of Daisy, the world’s sweetest Pitt Bull. It was the Marin Independent Journal’s #1 story for three straight days (and one week later still ranks #3). Click here to read the Marin IJ’s article, or click here for Mike Sugerman’s video piece that ran a few days ago. Other reports can be found through a Google search. Many people have called or dropped by and offered Steve and Daisy help. 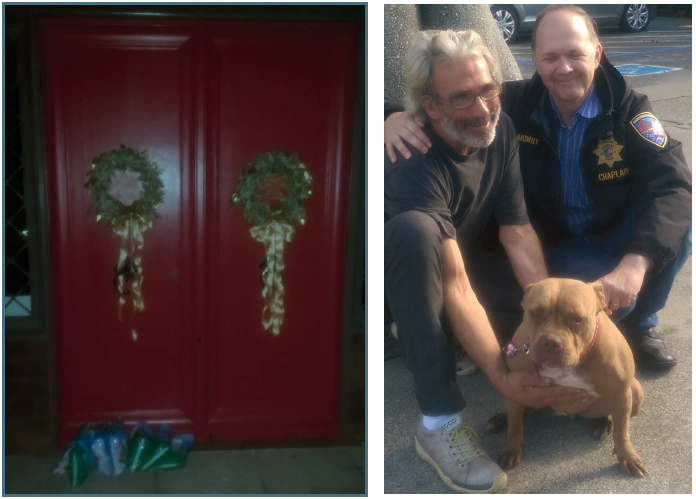 The photo below and left shows several bags of dog food that were dropped off anonymously at the front door of the church. The photo below and right shows Steve and Pastor Paul with Daisy. If you would like to help, there are many ways. For the time being, however, please do not bring dog food to the church. No one would ever say SPC has gone to the dogs. But they can now say the dogs have gone to SPC. The links on this page containing most of the links to the recent dog story – the links may not be operative after some time. Paul’s text from SPINN follows, from December 19, 2014.